We delivery self build lodge kits all over Spain, Delivery of your lodge in Spain is usually between 6-10 weeks from order. 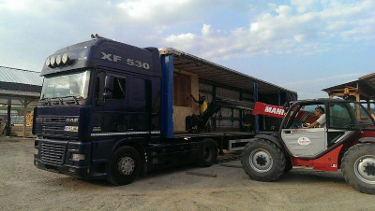 The size of the truck we use depends on the size of lodge you are building, our delivery is prompt and efficient. we will keep you informed all along the process and you will have a choice of delivery dates to fit in with your build. 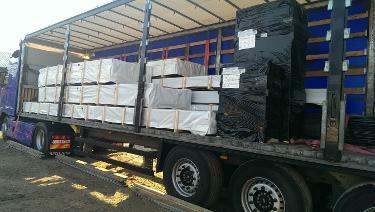 Your new lodge will be carefully packaged ready for delivery. Your new lodge will be clearly labelled and numbered for ease of identification and build order. 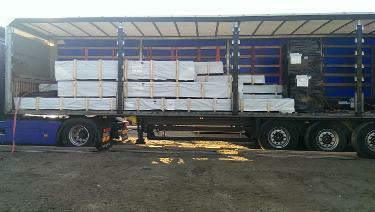 Lodges delivered to Spain and ready to be off loaded and assembled. A self assembly lodge kit in Spain is a click away!